Have a Try on This Efficient Vimeo MP3 Converter Now! If you got a Vimeo video with amazing background music, it seems impossible to play the audio only, but actually, it will be achievable if you extract audio from Vimeo. It’s troublesome to open a website and play videos when you just want some music. Follow the instructions of this article to convert Vimeo to MP3 while maintaining original quality! Here’s a free, simple and efficient Vimeo to MP3 converter I highly recommend. Nowadays, there are plenty of software and websites that can convert Vimeo to .mp3 files as well as a large number of “Vimeo Video to MP3 Conversion” tutorials, which makes it so hard for you to distinguish and make a choice. The way I see it, there are only two issues that you should concern about Vimeo MP3 conversion: “How to convert Vimeo videos to MP3 with original quality preserved?” and “Is it hard doing so?” This article will tell you the answers. - Original audio quality preserved. - Free Vimeo MP3 conversion. Since Vimeo official does not support downloading videos or converting Vimeo video files to MP3 directly, you have to draw support from third-party download/convert software. - Pros: Powerful URL recognition, stable, efficient conversion, multifunctional. 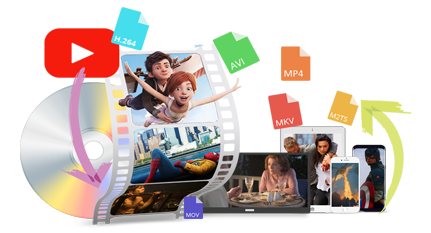 Free HD Video Convert Factory is a perfect URL to video downloader and video to MP3 converter software. It can download free videos from any popular video-sharing sites. For example, you can free download Peppa Pig episodes from YouTube. Furthermore, it supports 300+ output formats and devices and it can even enhance the quality of output files. 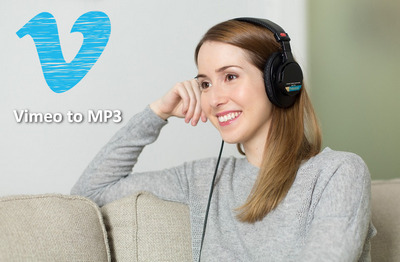 Have a try on this wonderful Vimeo MP3 converter now! Click “Download Video” on the menu bar to open “Add New Download” window. Copy video URL from Vimeo and paste it to “Add URL” section and click “Analyze” button. Customize output folder at “save to” section after analyzing. Choose “Recommended download” (that means downloading the video in its original size, you can choose a smaller size if you want) and click “Download” button. 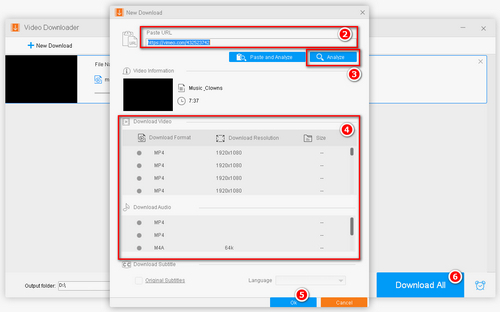 Tips: After downloading, you can save the Vimeo video and convert Vimeo to MP4 (or any other popular formats with good compatibility) if you don’t want to suffer from compatibility issues later. Or you can convert the video file to 4K Ultra HD for better viewing experience. Once the download is complete, click on the “Output Format” section on the right side of the interface. (As the picture shows, there are also plenty of other formats for you to convert. For example, you can convert your videos to WAV that is a lossless audio format.) Then choose “Audio” section and click the “MP3” icon. 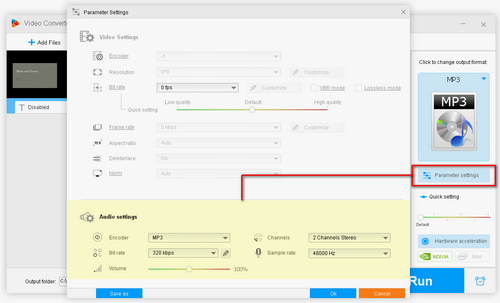 Tips: You can also customize parameters on the “Settings” window like converting stereo to mono , change MP3 bitrate and change audio sample rate if needed. Click “Run” button to start the conversion, you will be noticed whether to open the output folder when it’s done. - Pros: No software installation, convenient, short process. - Cons: Weak URL recognition, ad, slow conversion. Online Video Converter is one of the best 5 online video converters. 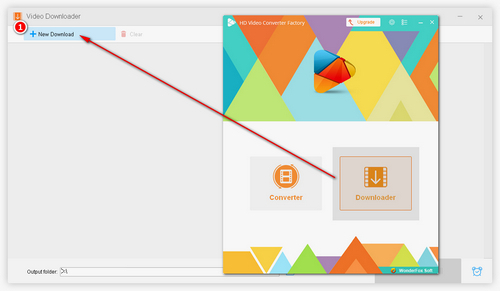 It’s not only a local video online converter but also an online URL to MP3 downloader as well as converter. It’s clean, it’s fast, it’s easy, it’s popular among the world, and it doesn’t have too many ads or pop-ups. Copy and paste Vimeo video URL, then choose the output format. 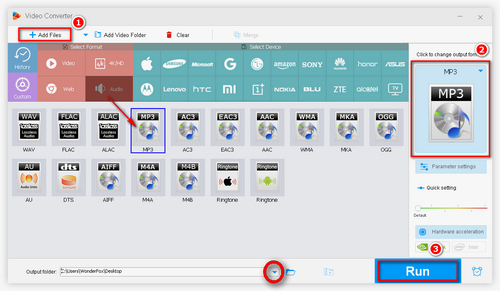 Click “More Settings” to change qualities of the video/audio and select duration of the file. Click “Start” button to start the conversion. Download the output file to local, the output folder depends on your browser. You can also download it to your smartphone or tablet by scanning the QR code. Now you have learned to convert Vimeo to MP3, choose the method you prefer, have a try on your own and enjoy the music! Please note: Don’t use the methods for illegal download. Remove/bypass DVD CSS, Multi-angle, Region Code, RCE, Sony ARccOS, UOP, Disney X-Project DRM and Cinavia Protection to rip your DVD collections and extract soundtrack from DVD files with original audio quality preserved, none dulcet tones shall be missed.